A Great collection of popular recipes from our team at the asian cookshop, manufacturers and customers. Feel free to email your own favourite recipes to us at customerservices@theasiancookshop.co.uk - Important! these must be your own recipes and not copied from someone else to avoid copyright infringement. SPICY MEATBALLS - Ingredients: 500g minced lamb/chicken, 1-2 tablespoons ferns mild curry paste, 1 chopped onion, 1 chopped green pepper, breadcrumbs, 1 beaten egg. Method: mix all the dry ingredients in a bowl, add beaten egg. Add enough breadcrumbs till the mixture is stiff and binds, roll into bite sized balls. Bake in hot oven turning balls occasionally. When cooked serve with a dipping sauce. Tinned tuna chunks can be a great substitute to meat! Ingredients: 8oz pure virani gram flour, 1 tbs rice flour, 1 tbs sesame seeds, 1 tbs dhana jeera powder, 2 tsp chilli powder, 1/4 tsp turmeric powder, 1 tbs salt, 2 large onions cut in half and sliced finely, 1 1 tbs finely chopped coriander, 7 fl oz water, oil for deep frying. Method: 1. Sieve the gram flour into a large bowl, then mix mix in all the remaining dry ingredients together with the onion slices and chopped coriander. 2. gradually add the water, mixing thoroughly, until a thick batter is formed and the onions are well coated. 3. Heat the oil to a depth of 2" to 3" in a wok, karahi, or deep fat frying pan over a medium heat. TIP: When it is correct temperature a drop of batter will rise immediately to the top without turning brown. 4. Drop heaped teaspoons of the batter into oil (take care not to make the bhajees to large or the centre will not cook). Fry a few at a time turning if necessary, for about 5-6 mins until golden brown. Repeat until all the bhajees are cooked allowing time for the oil to reheat between each batch. 5. Drain on absorbant paper. Meat Vindaloo: Marinate 1/2 kg chosen meat with 1 tbsp Bolsts Vindaloo Paste - fry 1 chopped onion - add meat and salt to taste - add 2 1/2 cups water and cook until the meat is tender - simmer on low flame then cover until cooked. Add more water for more sauce and cook through. Tandoori Chicken: Make incisions on chicken (4 / 5 pieces - 500g) marinate with 2 tbsp bolst tandoori paste, 2 tbsp yoghurt and 1 tbsp lime juice for 2/3 hours or overnight for deeper flavour in refrigerator. Grill or BBQ till done or wrap in foil and bake gas mark 5 (350f) for half an hour. Remove from foil and drain. Grill/bbq till done. Use quater chicken breasts and legs on the bone for restaurant style on the bone tandoori chicken. Serve hot. Rogan Josh Curry: Heat 4 tbsp oil and fry 1 sliced onion until golden - add 500g of chicken or lamb - add 3 tbsp of Bolsts Rogan Josh Paste - salt to taste - add 5 cups water and simmer until cooked. Mulligatawny Chicken Soup: Boil 500g chicken (or your choice of veg/meat) in 6 cups of water till half cooked. Strain and keep this stock aside. Shred the meat and fry 1 onion in 2tbsp cooking oil. Add meat and 1 tbsp bolst mulligatawny paste - salt to taste - add the stock. Cover and cook on low flame till done. Add 3 tbsp milk if required for milder taste - serve hot. 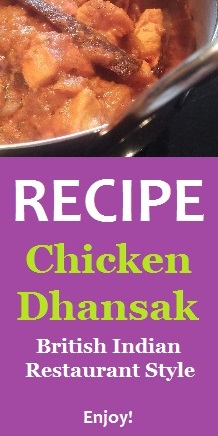 Mild Chicken Curry: Marinate 500g chicken or your choice of meats with 1 tbsp of Bolsts Mild Curry Paste for 10 mins - fry 1 sliced onion & add 1 sliced tomato and fry - add meat, salt to taste and add 2 and half cups of water - cover and simmer (add water or coconut milk for more gravy.) Serve with naan bread or rice. Shami Kebab / Reshmi Kebab / Sheek Kebab: Mix 500g mince lamb with 2 tbsp Bolsts Kebab paste & 1 diced onion - salt to taste. Then add 1 tsp lime juice. The meat is now ready to be grilled or bbq as required. Shape into burger shapes for shami kebab - or fry an egg seperately and wrap the cooked shami kebab for reshmi kebab - or shape onto skewers in a long sausage shape for sheek kebabs. serve with fresh salad and mint yoghurt sauce. Spicy Curried Ribs: stir fry 500g lamb ribs (or your choice of meats) - add 2 sliced onions and fry. Add 2 tbsp Bolsts Kashmiri Paste and fry. Add 4 tbsp yoghurt and meat and fry on low heat until yoghurt is absorbed and the ribs soften. Add 2 cups water salt to taste then cover until cooked, sauce should be thick. Chicken Karahi Curry: Heat 3 tbsp of oil in a pan - add 2 sliced onions and 3 tbsp Bolsts Karahi Paste and fry - then add 1 cup yogurt and 500g chicken. Add 1 cup water and salt to taste - simmer on low flame then cover until cooked. Hot Chicken Curry: Marinate 500g chicken with 1 tbsp Bolsts Hot Curry Paste for 10 mins - Fry 1 sliced onion in 2 tbsp cooking oil, then add 1 sliced tomato and fry. Add the marinated chicken - then salt to taste - add water or coconut milk for more sauce as desired. Curried Green Masala and Rice Recipe: Wash then Soak 2 cups basmati rice in water for 20 mins then drain. Marinate 500g chicken with 1 tbsp Bolsts Green Masala Paste and 1/2 cup yogurt for 10 mins - add 1 sliced tomato salt to taste. Add 2 cups water and cook. Fry 1 sliced onion add rice and fry - add 4 cups boiling water and 1 tbsp lime juice and cook on low fire until done. PanFried Spiced Fish: Mix 500g fish pieces in 2 tbsp Bolsts Fish Paste - marinate for 15mins - then shallow fry. Fish Curry: Heat 2 tbsp cooking oil in a saucepan - then add 2 tbsp Bolsts Fish Paste and 4 tbsp tomato puree and fry - add 1 cup water and then add fish pieces - simmer until cooked. Chicken Tikka: Marinate 500g of chicken with 2 tbsp of Bolsts chicken tikka paste 2 tbsp of yoghurt & 1/2 tbsp of lime juice for 2-3 hours or overnight in refrigerator. Grill or bbq turning occasionally until meat is cooked then serve with fresh salad. Meat Biryani Recipe: Soak 500g basmati rice for 20 mins then drain and set aside. In a pan add 2 tbsp Bolst biryani curry paste to 500g of meat of your choice, add chillies and onion - salt to taste. Cook with 1cup of water till done. In another pan fry 1 chopped onion in ghee - add the rice and cook until the rice becomes translucent. Add the cooked meat and 4 cups of water cover with lid and cook for 10 - 15 min. Bolst Indian Curry Recipe: Heat 2tbs ghee in a pan and add one sliced onion together with the required Bolst curry powder. Mix and allow onions to brown without sticking to bottom. Add meat and fry on high heat for approx 5 mins. Add 1 cup of water, salt to taste and simmer until meat cooked and tender. Add more water if required for more sauce and cook through. You can make your curry milder and creamier by adding coconut milk. Method: prepare pancakes as instructed, mix the noodles, lettuce, prawns, carrots, bean sprouts and divide between the pancakes. Fold and make the rolls as instructed. Serve with Blue Dragon chilli dipping sauce. Can be served fresh or deep fried. Recipe: heat oil and add lamb, fry for about 20 mins til cooked. Pour a jar of Levi Roots caribbean curry sauce into seperate pan bheat and stir in peppers, potato and herbs. Simmer for 5 mins add cooked lamb, simmer for 5 mins and serve. Levis Cool Veggie Rundown Recipe - serves 3-4, Prep time 10 mins | cooking time 25 mins. Levis Lip Smackin Stew Recipe - serves 3-4, prep time 10 mins | cooking time 30 mins. Recipe: heat oil, add chicken and fry till cooked. take out of pan and drain, heat a jar of jamaican brown stew sauce seperately and add peppers, carrots and herbs. Bring to boil then simmer for 5 mins. Stir in cooked chicken and serve. Ingredients: 250g pack digestive biscuits crushed, 95g unsalted butter melted, 1 tsp grated lime zest, 150ml lime juice, 3 large egg yolks, 1 can of T/SUN condensed milk, whipped cream and lime slices. Recipe: 1: heat ghee and fry the onions until golden, 2: add meat, garlic, ginger, shan karachi beef mix, fry fow few mins, 3: add 7/8 glass water, cover and cook on a low heat till meat tender, then seperate the meat cubes from the gravy . THE CURRY GRAVY SHOULD BE EXACTLY 3 CUPS. [if less add more water, if more increase heat and reduce to dry out] Now, add meat again. 4: seperately, boil rice in 10 glasses of water, with 2 tbsp salt, boil until rice 3/4 tender , remove from the heat and drain. 5: layer rice and meat curry sprinkle food colour if needed and coriander over rice, [mix the top layer of rice to moisten colouring] cover and cook on low heat until rice is cooked tender, mix biryani completely before serving. Method: heat oil and add chicken, fry till cooked. In another pan heat reggae reggae cooking sauce and add peppers. Simmer for 5mins and add cooked chicken, serve. Method: 1] cut 500g lean lamb into 1/2 inch cubes. Marinade in 2tbsp vinegar, 1 tsp chilli powder, and 1/4 tsp turmeric powder, for upto 4 hours in the fridge. 3} simmer for 20mins, until gravy is thick, and lamb is tender. ensure fully cooked before serving. Oriental Roast Duck - Recipe: 1] rinse one duck, and pat dry, 2] sprinkle contents of Roast Duck Seasoning over duck, soak and rub thoroughly inside and out. set for 1 hour, 3] place in oven at 375f or 190c for 30mins, turn duck over and bake till skin crispy. Nyonya Kapitan Chicken Curry Recipe - Serves 3-4 | Ingredients needed: 1 jar malay nyonya kapitan curry paste, 450g chicken, 185ml coconut milk. 1] cut the chicken into bite size pieces, 2] heat 1 tbsp oil in a deep frying pan/wok add the kapitan paste and 1 tbsp coconut milk, stirfry till aroma is released. 3] add the chicken, mix well and fry till cooked. 4] add the rest of the coconut milk, and bring to boil, 5] lower heat and simmer until sauce thickens. Beef Rendang Recipe: serves 3/4 | Ingredients needed: 1 jar malay rendang curry paste, 450g rump or sirloin beef, 185ml coconut milk. 1] cut the beef into bite size pieces, 2] heat 1 tbsp oil in a deep frying pan/wok add the rendang paste and 1 tbsp coconut milk, stirfry till aroma is released. 3] add the beef, mix well and fry till cooked. 4] add the rest of the coconut milk, and bring to boil and stir, 5] lower heat and simmer until sauce reduces, thickens and coats the meat. you need 400g of chapati flour/atta. Add a tsp of Oil to the Flour and gently knead a soft, elastic dough using tepid warm water. Cover the dough and allow to rest for approx 30 mins. Break off small golf ball sized pieces of dough and make into balls. Roll out Chapatis ensuring the surface is floured to avoid sticking. Place the Chapati on a heated tawa (Indian griddle) over a low to medium heat. Cook for a few secs then flip over to cook both sides. There will be bubbles rising on the surface of the chapati as it cooks. Again turnover to ensure even cooking. Serve plain or buttered with ghee for 'butter chapati', with curry and finger food. Method: Remove the skin from the whole chicken. Clean the inside completely. Wash, pat dry and marinate the chicken with a mixture of curd, cream, ginger and garlic paste and Tandoori Curry Paste. Allow to marinate for 3 - 4 hrs at least. For best results keep the marinated chicken in the refrigerator overnight. Skewer the chicken and roast in a tandoor. An electric or gas oven may also be used. If a rotating device does not exist in the oven, keep turning the chicken at regular intervals and baste with oil from time to time, to prevent drying out. Cooking time will be around 15-20 minutes in a tandoor or 25-30 minutes in an oven. Serve hot with sliced onion and lemon slices and tandoori roti or bread of your choice.